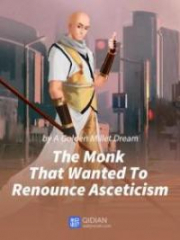 Read novel online » The Monk That Wanted To Renounce Asceticism » Chapter 88: Why Do Pigs Not Climb Trees? Lone Wolf's feet went limp. He swore that he was only finding a place to p.r.o.ne for a moment. Also, he was a wolf! He was not a human, so how was he to kowtow? However, with Fangzheng already articulating it, Lone Wolf was also clever and knew what he meant. Biting the bullet, he went into the temple hall. Liu Tao and Wu Hai exchanged looks before following in hurriedly. 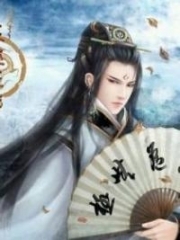 Fangzheng smiled slightly and followed behind them unhurriedly. After Lone Wolf entered the temple hall, he ruminated for a moment over how a wolf should kowtow to Buddha. No matter how much he thought about it, there was no wolf ancestor that had pa.s.sed down this art. Helplessly, he raised his forelegs and stood upright. Liu Tao, Wu Hai, and the cameraman were collectively dumbfounded! Simultaneously, they thought, "There's no way this wolf is really kowtowing to Buddha, is there?" Almost at the same time, Lone Wolf tried his best to adjust his muscles as he plopped to the ground. However, he had not gotten his footing, so his upper body crashed down with a thud. His chin hit the ground, making him nearly tear up. When Fangzheng saw this, he grinned as he mumbled secretly to himself, "Nice. To think that you are working so hard? I'll give you more for dinner!" Liu Tao swallowed his saliva and said, "There's no need to be so devout, right? Can't he do it a little slower?" 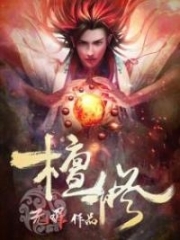 Lone Wolf glanced at Liu Tao and thought to himself, "I wished so too..."
Lone Wolf did the awkward motions thrice consecutively, making Liu Tao and Wu Hai completely dumbfounded. Finally, Lone Wolf crawled up and took a look at the incense sticks. Ordinary incense sticks, which he could not use, were too thin. High incense was too expensive and from what he knew of Fangzheng, he would probably have his rations deducted if he dared touch the high incense. Therefore, Lone Wolf whisked its tail. "That's all I can do. The rest is truly impossible on me," he thought. Lone Wolf came out and when Liu Tao and Wu Hai, who were blocking the exit, saw this, they hurriedly made way for him. Lone Wolf glanced at the two again and proceeded to go out the temple's main door before disappearing. Liu Tao, Wu Hai, and the cameraman gulped a mouthful of saliva simultaneously, as their eyes were filled with incredulity. Fangzheng went forward and said, "Amitabha. Patrons, as you can see, this wolf really does not have much to do with This Penniless Monk. He is only a devotee of this temple. He is but a wild wolf." Liu Tao said with a wry smile, "Then... Forget it, I'll return to get further instructions from management. Little- Ahem, Master, I'll bid you farewell for now." With Liu Tao wanting to leave, what else could Wu Hai say? 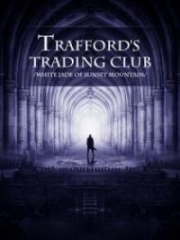 He hurriedly bade farewell as the trio quickly went down the mountain. When Fangzheng saw the trio leave, he frowned. This matter definitely had not happened for no reason. Someone must have instigated the matter, or it would not have caused the law enforcing department to come. Fangzheng opened WeChat and contacted Monkey. Compared to the village's w.a.n.g Yougui, the city's Monkey clearly knew a lot more information. The moment Fangzheng asked, Monkey immediately replied, "Master, do you not know about this matter? Aiyah, it's all because of those a.s.sholes from the county city. They suffered on the mountain and began speaking nonsense once they came down the mountain. Also, that punk, Chen Jing, posted a news article that basically criticized your temple. This punk put in quite a lot of effort on this matter." Fangzheng found the local news through Monkey's guidance. Indeed, under the article Chen Jing had posted, there were hundreds of replies about the article. For a small region's news, to have such a high number of clicks was indeed an impressive feat. Usually, replies would be few and far between. After opening the article, Fangzheng's expression turned ashen! 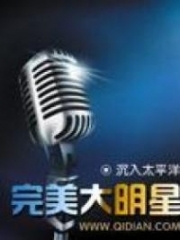 What Chen Jing mentioned was not an exaggeration of facts, it was complete rubbish. He had inserted a lot of wolf a.s.sault incidents from other villagers into the article. There were even matters that had happened the last century! And everything had been blamed on Fangzheng. However, this was not the main issue. 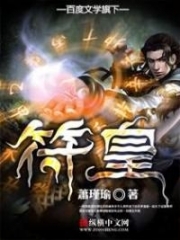 The main issue was that Fangzheng really had a wolf on the mountain. This point was sufficient to attract the attention of the relevant authorities. 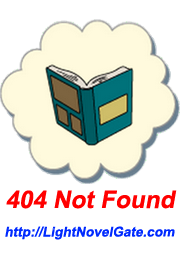 Fangzheng checked the relevant laws on the matter before heaving a sigh of relief. Indeed, if Lone Wolf was determined to be wild, and did not pose any threat to the villagers at the foot of the mountain, the matter would be put aside. No one would come to hunt or capture Lone Wolf. If Fangzheng wanted to own Lone Wolf, it would be rather problematic. He would have no choice but to lie during the process... And he would also have to do paperwork. Fangzheng could not go down the mountain, so there was no way for him to do the paperwork. Furthermore, there were many elements to the matter. He decisively gave up on the thought, since he might as well let Lone Wolf be a wild wolf. Down the mountain, Liu Tao and Wu Hai were in dire straits. "A wolf that knows how to kowtow to Buddha? Why don't you tell me that pigs can climb up trees?" the two bosses of the duo roared at them, using nearly the same words. Liu Tao said, "Chief, it's true. I saw it with my own eyes." "Before I get mad, go get a disciplinary punishment yourself," the chief reprimanded him furiously as he spoke on the phone to someone else. Ever since the country had begun developing, things such as demons were forbidden. Yet, this rascal actually told him that a wolf knew how to kowtow to Buddha? He would rather die than believe it. "Hey, pretty impressive of you, huh? You actually know about getting disciplinary punishment yourself? Fine, after work, bring home three washboards! Don't think that I'm unaware. Our washboards were stolen by you before you threw them away!" a woman's voice came from the other side of the phone call. Chief Chen blushed as he indicated Liu Tao in a rush to get out. At the same time, he hurriedly explained to his wife. How could Liu Tao agree to leave? If that were the case, wouldn't it mean that he could not clear things out and would be punished for no reason? He took out the recorded video and played it in front of Chief Chen. Upon seeing Lone Wolf kowtow, Chief Chen nearly dropped his cell phone. He swallowed a mouthful of saliva and ignored the voice on the phone. He wiped the sweat from his forehead and said, "Don't talk for now. I need silence." "Who is Silence? You even want me to shut up? Nice of you! Chen Sanqiang, it seems like you are getting bold!" "No, I'm not thinking of the Silence you are talking about! I'm talking about having peace in silence!" "Peace? Old An's daughter? Nice of you! When did you two hook up?" "I- I meant... Aiyah... Wait until I get back!" "Alright, to think you even threatened me? 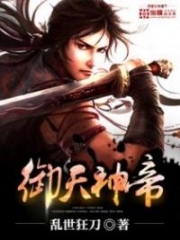 Fine, when you get back, let's see who will win the fight..."
When Liu Tao saw this, he quickly ran away. If he stayed on any further, he might be silenced. On the other side, Wu Hai was in a better situation than Liu Tao. After taking out the recording, his chief fell silent and asked him to wait for the news. There was also a large group of people on the Internet that waited for news eagerly. However, there was no news on the second day or third day. On the fourth day, a new batch of visitors came. Chen Sanqiang had stormed up to One Finger Temple with a group of people. There were experts, superiors and when they came, they were all filled with suspicion. When they rushed into the temple, they began all sorts of queries. In the end, before they could even begin asking, Lone Wolf charged into the temple and began kowtowing! Then, Lone Wolf flicked its tail and left. Everyone exchanged looks as the questions they were about to deliver turned into silence! They were already unsure as to what they could ask. 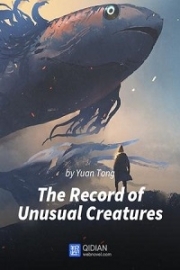 On the fifth day, there was an official piece of news that was published. "After thorough verification, there is indeed a wolf on Mt. One Finger. However, the wolf is considered a wild wolf and not kept by the temple's monk. Please refrain from spreading rumors." You're Read The Monk That Wanted To Renounce Asceticism Chapter 88: Why Do Pigs Not Climb Trees? 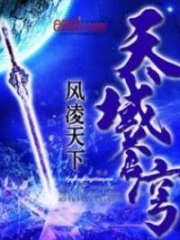 online at BestLightNovel.com. You can use the follow function to bookmark your favorite novel ( Only for registered users ). If you find any errors ( can't read,broken links, can't load photos, etc.. ), Please let us know so we can fix it as soon as possible. And when you start a conversation or debate about a certain topic with other people, please do not offend them just because you don't like their opinions. You're reading The Monk That Wanted To Renounce Asceticism. This manga has been translated by Updating. 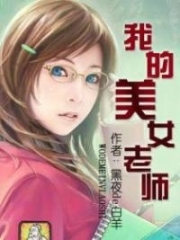 Author(s): 一梦黄粱. Already has 433 views. Current Time is 22-Apr-2019 10:28:16 AM.